Greg Gianforte is nobody’s idea of a star. A software tycoon who made his first million at the age of 33, he retired to Montana and founded a second company, RightNow, that lets businesses outsource their customer-service operations, Gianforte ran for governor in 2016 against Democrat Steve Bullock and lost by a little over 18,000 votes. On Wednesday, the day before the polls closed in the special election to replace Representative Ryan Zinke, Gianforte assaulted a reporter who was trying to ask him his position on the Republican health-care plan. On Thursday Gianforte beat Democratic challenger Rob Quist by nearly 26,000 votes. Gianforte’s ability to write his own campaign checks helped persuade Republicans to give him another chance, but in the end the winner’s ample wallet was less of a factor than the $ 2 million he received from the Congressional Leadership Fund, the $1 million he got from the National Republican Congressional Committee—or the hundreds of thousands the National Rifle Association spent on attack ads. Quist, a folk singer whose own financial troubles became an issue in the campaign, got just $600,000 from the Democratic Congressional Campaign Committee—though, thanks to a big push by Daily Kos, Move On, Our Revolution, and Planned Parenthood, Quist actually raised more money than Gianforte in the campaign’s final month. This was a dirty, hard-fought, expensive race between two unconventional candidates. Quist attacked Gianforte, who has lived in Montana for more than 20 years, as a “millionaire from New Jersey” who wanted to sell off the state’s public lands to developers. Gianforte called Quist “Nancy Pelosi in a cowboy hat.” But his surrogates, and the right-wing blogosphere, used Quist’s medical records to depict the Democrat as a degenerate with a history of “genital herpes” and a troubled marriage. Gianforte’s body slam of Guardian reporter Ben Jacobs was just the last low blow. And since Montana’s early voting meant that a majority of voters had already returned their ballots, the incident probably had limited impact on the final result. But it’s also true that Quist, a commanding figure on stage so long as he has a banjo or a guitar, never became either an impressive debater or a fluent stump speaker. 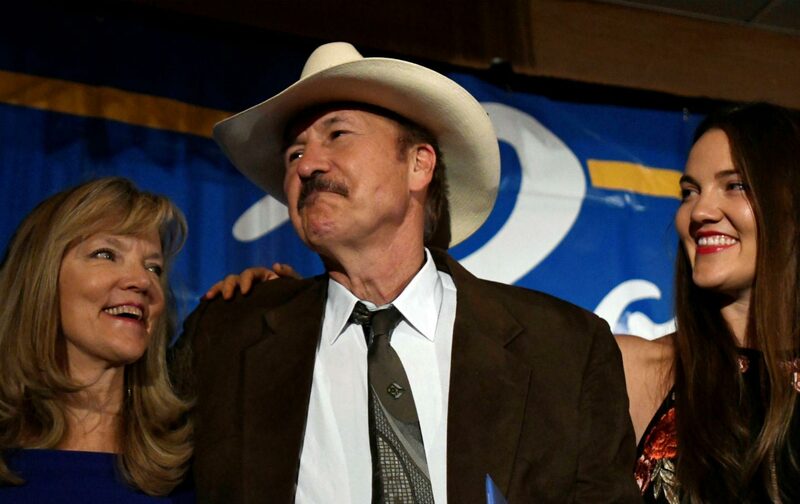 His tendency to revert to clichés about “standing up for Montana” was remarked on even by friendly reporters, with Jacobs noting that Quist was “clearly uncomfortable discussing policy outside of broad outlines.” Though Our Revolution endorsed him, and Sanders spent the weekend before the vote campaigning for him across Montana, Rob Quist is no Bernie Sanders. Democrats nationally can take some comfort from the fact that in a state Trump carried by more than 20 percent, Quist came within seven points of a stunning upset. A swing of that magnitude in 2018 would easily return the House of Representatives to Democratic control. So the Republicans have good reason to be worried—especially since in the final days of his campaign Quist’s focus on health care seemed to pay off. But the “resistance” to Trump still needs to get a national win on the board. Christine Pellegrino’s surprise victory for the nomination in New York’s 9th Assembly District in Long Island has shown that with the right candidate and a great deal of patient grassroots organizing progressives can win down-ballot. Despite my initial skepticism, Jon Ossoff is now running ahead in the polls for Georgia’s 6th congressional district, which votes on June 20. Though a victory for Ossoff, who has run a cautiously centrist campaign, would hardly be a vindication for progressives, it would certainly represent a repudiation of Trump that should worry Republicans. In the meantime, the Sanders wing of the Democratic Party needs to show that it can do more than just draw crowds and raise money—though both are of crucial importance. And the Clinton wing needs to show—by action, as well as rhetoric—that it doesn’t put holding on to power ahead of either opposing the Republican agenda or actually winning elections. Because at the moment the radical promise of the 2016 Democratic Party platform is just a cruel joke. While Democrats bicker over squaring the circle between identity politics and economic populism, the Republican agenda of tax cuts for the rich and a shredded safety net for everyone else gathers momentum. We may still tell our children that all it takes to defeat bullies is a willingness to stand up to them. But every day our political life teaches the opposite lesson—that bullies not only prosper, they win elections. Even in Montana.